New in box. One small mark. The toes are round. In excellent pre-owned condition with wear on the soles but the leather uppers and insoles look like new. Ready to wear! Purchasing from us?. They have genuine patent leather uppers and leather soles. 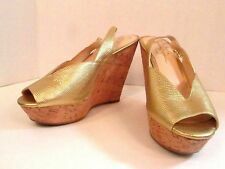 jessica simpson womens shoes size 8. Condition is New with box. Never worn. If you have any questions, don’t hesitate to ask. Buy with confidence. Look at my reviews. 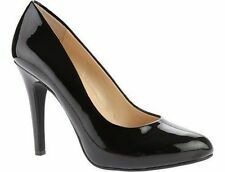 Closed Heel with Buckle Slingback Strap. Slip On / Strappy / Buckle Ankle Strap / Open Toe / WedgeHeels. 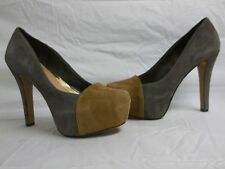 Faux Wood Wedge Heels. Materials: Leather Upper - Man Made Lining/Sole. For that reason, I may not have. Bottom soles are dirty. Insoles and inner lining are slightly dirty. US: Unknown. Heels and toes are slightly scuffed with light dirt. Sides show light dirt. Length: 11".